A rim latch has a box like case and is fitted on the face of the door as opposed to a mortice or tubular latch which is morticed into the door edge. A rim latch should be used in conjunction with rim knob door furniture which are supplied complete with one knob on a rose for the opposite side of the door to the latch and one knob without a rose which fits up tight against the actual rim latch itself. The rim knobs are connected to each other via a spindle which passes through the latch follower. When either of the knobs are turned, the spindle rotates and operates the latch, freeing the door to open. Some rim latches have a slide button (shown above) giving the option of a locking facility without having to use a key. These are typically used on bathroom doors or where privacy is required. 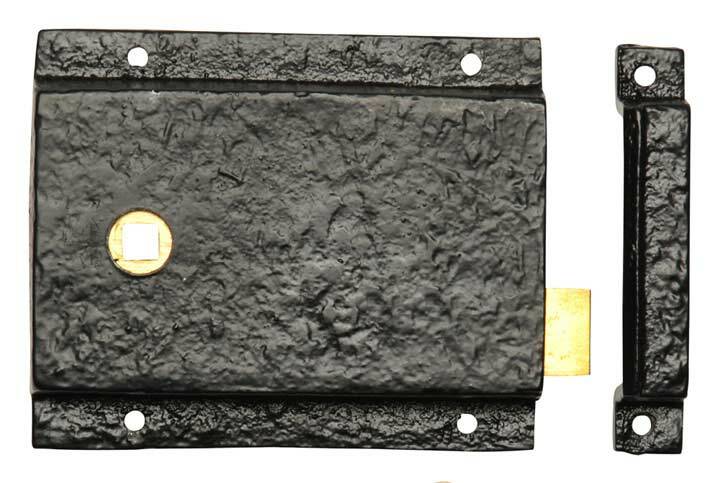 Traditionally rim latches were found in old or period style houses and were usually made of black iron. Modern rim latches are available in many finishes and have matching rim door knobs. 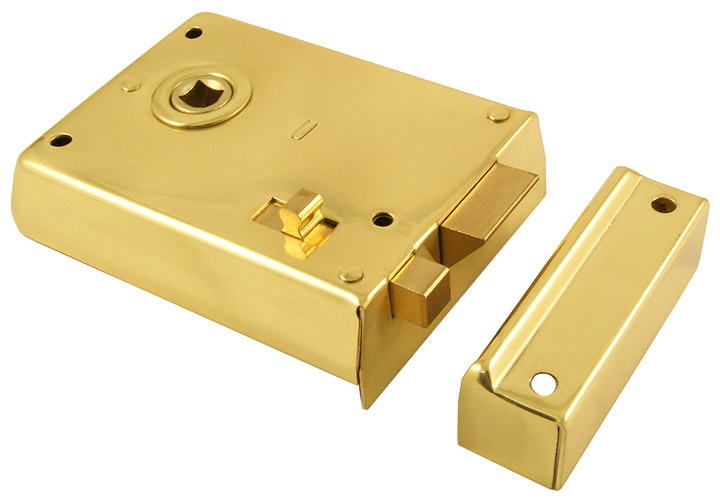 These include polished brass rim latches and knobs and polished chrome rim latches and knobs. If wanting to replace the traditional style of wrought iron rim lock with the same design it is also possible to purchase black antique rim latches with matching rim door knobs.